Canon announced the launch of the new PowerShot G9 X, the most compact and lightest model to join the PowerShot G series line of premium compact cameras. 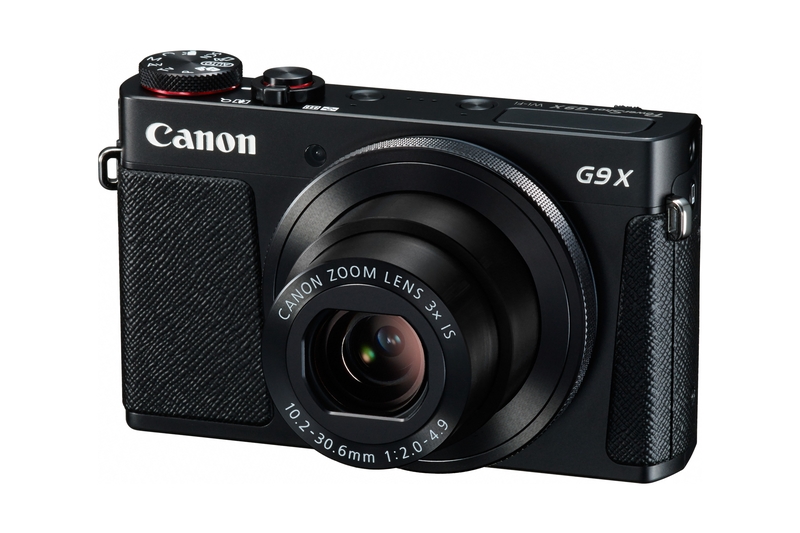 Packing a punch for a pocket-sized camera, the PowerShot G9 X comes with a large 1.0” 20.2 megapixel CMOS sensor that renders higher sensitivity (HS) and Canon’s imaging technology for superior image quality approaching the EOS line. The user interface of the camera has been designed with a newly optimized button layout for intuitive operation which would appeal to users who prefer to focus on the fun and joy of capturing beautiful moments. The refined and streamlined design of the PowerShot G9 X houses the large 1.0’’ high sensitivity CMOS sensor with Canon’s latest DIGIC 6 image processor. Together, these elements create Canon’s HS (High-sensitivity) system with high ISO speed 12800 to confidently deliver vivid and expressive images and videos even in dim lighting conditions. The PowerShot G9 X uses a 28 – 84mm (35mm equivalent) 3x optical zoom lens that provides the casual user with a pocket-sized camera with high optical performance to capture beautiful images with crisp contrast. The circular 9-blade composition and large apertures of f/2.0 – f/4.9 provide users with beautiful bokeh (blurred background) effects in macro photography. The camera’s Auto ND filter ensures that the appropriate brightness is achieved enabling the photographer to focus on capturing the moment. With a streamlined design and weighing approximately 209 grams, the PowerShot G9 X is perfect for everyday usage. 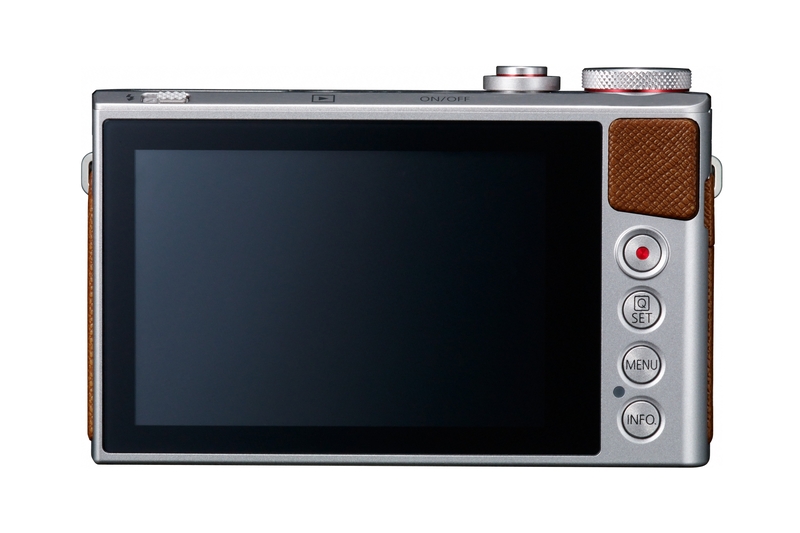 Reminiscent of classic cameras with bold lines, the leather-like trim frame the sides of the camera, emphasising contrast in surface details while providing users with a firm grip when shooting. The simplicity of its design carries over to the user interface with buttons aligned neatly in a straight line, creating an intuitive user experience. The control ring complements and works in conjunction with the touch screen. Between these two elements, a user can easily control the camera parameters and settings to make adjustments such as ISO speed, aperture, and focus quickly and efficiently. The bulb exposure feature provides the user with more control over shutter timings, which can be highly useful when capturing the light trails of cars, fireworks, and night scenes. The PowerShot G9 X is available in two colour combinations – classic black for a sleek and seamless effect; classic silver with tanned brown trim for rich colour contrast. With the powerful 1.0’’ CMOS sensor, the PowerShot G9 X is versatile even for aspiring videographers to try their hand at creating high quality videos. Equipped with movie editing functions for creative storytelling, the camera can record 1080p Full HD videos (at 24p and up to 60p in MP4 format). Story Highlights automatically chooses a series of photos or clips and puts them together with effects, automated editing and even background music for a livelier dimension. The Short Clip Movie feature on the PowerShot G9 X helps photographers capture a series of 4 to 6-second movie snippets with different play back speeds – normal-speed, fast motion, action replay or slow motion for stylistic effects. The Wi-Fi and NFC connectivity features enhances the joy of photography with the flexibility of sharing pictures to popular social networks via the online cloud storage, Canon iMAGE GATEWAY (CiG). In addition, the Canon Camera Connect app allows users to remotely control camera functions such as zoom, focus, shutter speed, ISO, aperture, and aspect ratio via their smart devices. This is particularly useful for group pictures among friends and family or in tight spaces where unusual angles are required. A new and convenient feature in the PowerShot G series, the convenience of in-camera USB charging is now available for the PowerShot G9 X along with charging through the battery charger supplied. The PowerShot G9 X will be available from late October at Canon authorised distributors and dealers at a recommended retail price of $619.